Of all the podcasts that I have discussed in my podcast recommendation series, none of them have been explicitly about writing. Until now, that is. So, the first writing podcast I want to discuss is The Bestseller Experiment. The Bestseller Experiment is a podcast that is hosted by two Marks: Mark Stay and Mark Desvaux. Initially, the podcast was conceived as two authors trying to learn about what makes a bestseller, write a book, and publish it within 52 weeks. If you check it out, you will see that they are now well beyond a year of episodes and have published their book, but they are still putting out great podcasts full of advice and information about writing and publishing, including interviews with bestselling authors. The entire podcast is definitely well worth a listen. Some of their episodes are about their writing process and how they've approached writing and publishing their book. Episodes like Episode 11: The Story So Far gives updates on how they approached theme and developing their story, as well as how two writers work on a project together. Personally, I love to hear about other people's process and how they go about working through their writing. They also have episodes on the publishing process, including Episode 48: A Kick in the Ed, an episode about their editor and the editing process, or Episode 57: Beta Readers and Reviews, about getting beta readers and feedback. In addition to the episodes about their bestseller experiment, they have some great author interviews on the podcast. Personally, I really enjoyed Episode 95: Richard Morgan, with the author of the Altered Carbon series. 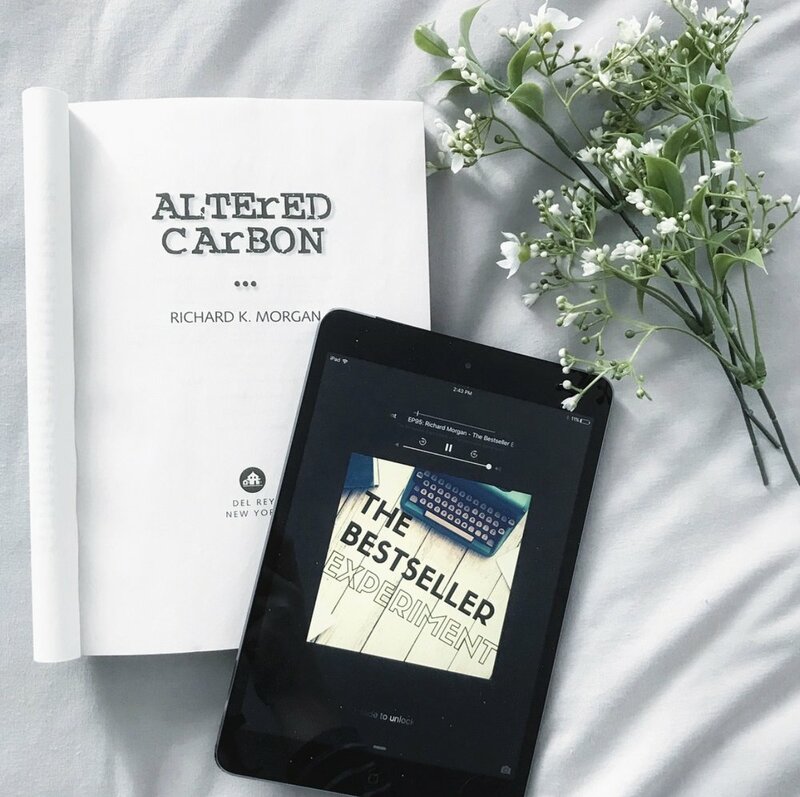 Not only is Altered Carbon a great book, it was turned into a Netflix series and Richard Morgan discussed the adaptation process in his interview. I also liked Episode 19: Joe Hill, author of the novels Horns and N0S4A2, who discussed his journey to publication as well as some of his writing tips. The two Marks have also done interviews with other bookish people like editors, agents, etc. If you are a NaNoWriMo fan, you should check out Episode 5: How to Write 50,000 Words in a Month and Episode 8: NaNoWriMo & the Muddy Middle, both of which feature interviews with the Executive Director of NaNoWriMo, Grant Faulkner. This podcast is a great place to start to get some advice and inspiration and to hear some in-depth interviews. I mostly read adult, genre books, so the episodes I've recommended reflect that, but there are interviews with YA authors and Middle Grade authors too. If you are looking for a podcast focused on writing and how to finish a book, give this one a listen!